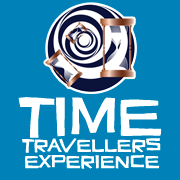 Time Travellers Experience is currently being revamped in Oamaru. A new website will be running shortly. For any updates refer to facebook page. Time Travellers is dedicated to preserving popular culture in all forms of media; including Steampunk, toys, vintage clothes, comics,movie posters, games, Ephemera and comic art. To display these items in an informative and entertaining way that enables the patrons to time travel back to the past....via their memories.